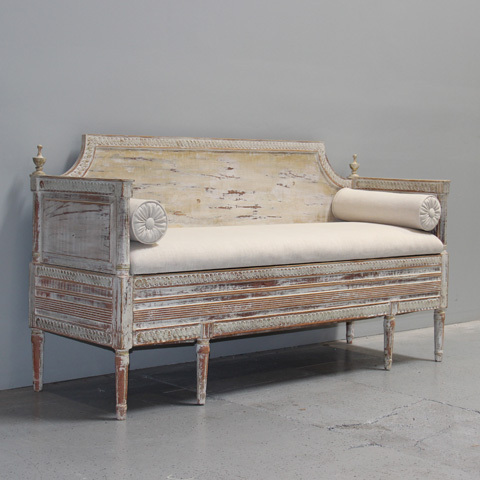 19th Century Swedish Gustavian Settee | Maison & Co. 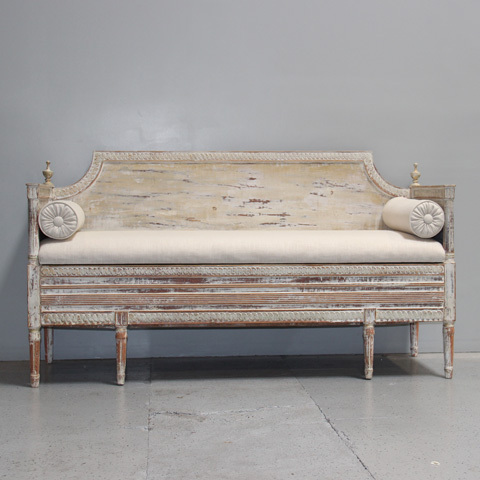 This stunning 19th century Swedish Gustavian settee was found in the Provence region of France. It has carved sheaf of grain finials, the emblem of the Royal House of Vasa, and a reeded seat rail. It has been hand-scraped to reveal the original paint. The fine details, carving and patina are in excellent condition. The seat cushion is removable and covers an open seat cavity. This settee has been newly upholstered and two bolster pillows were added. 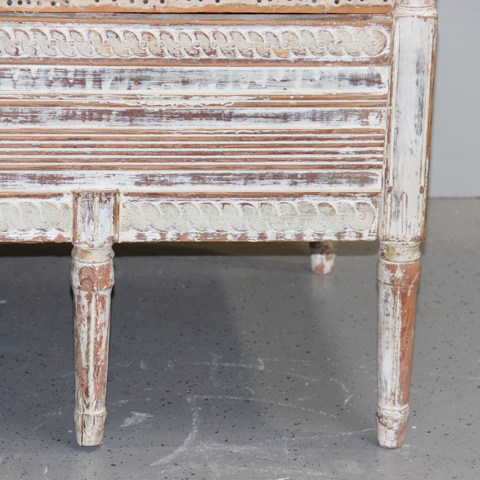 The Gustavian style, named after King Gustav III of Sweden, is a restrained interpretation of the French Louis XV and Louis XVI style. King Gustav III was enamored with the neoclassical style and therefore created his own interpretation for Sweden. 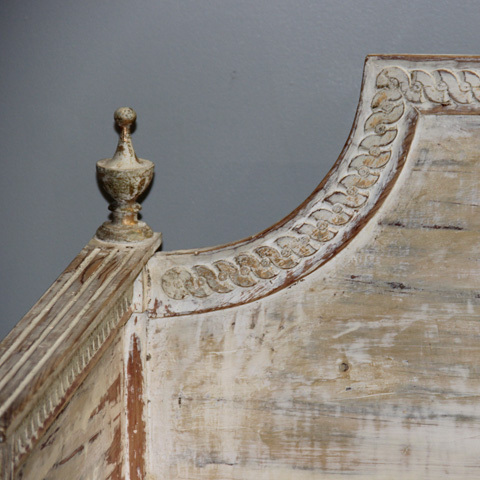 To learn more about the Swedish Gustavian style and settees, read our blog, the Maison & Co. Notebook. 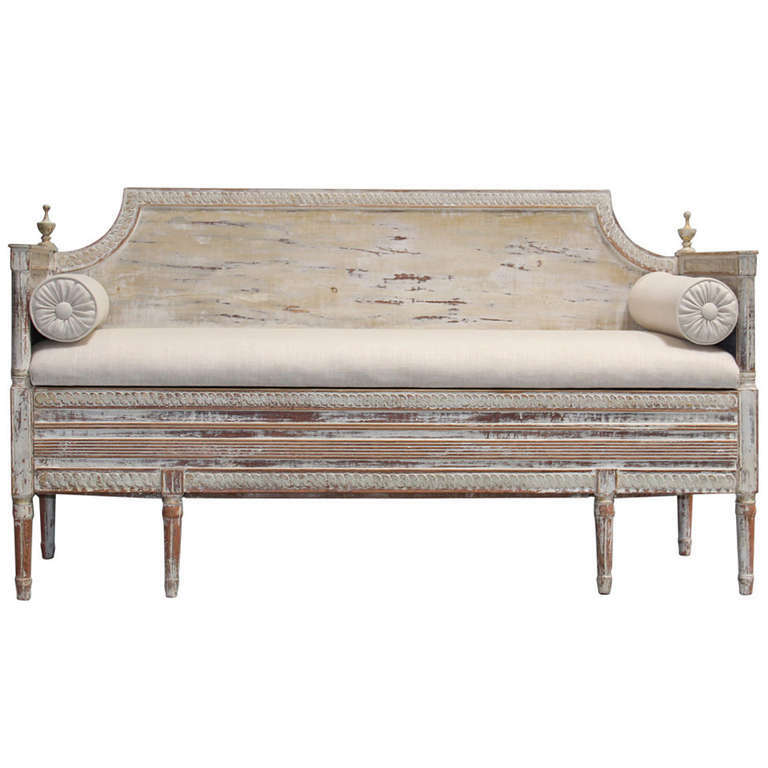 Click this link: http://www.maisonandco.com/blog/swedish-gustavian-settee We love Swedish Gustavian furniture and this settee is one of our favorite pieces. It would work well at the end of a bed, in a front entry, in a hallway, in a sitting room, or as a banquette for a breakfast room. This settee is approximately six feet long. It is an original piece imported from France exclusively by Maison and Co.